Monastic Mumblings, a Friar's Journey: Our God has Ascended! 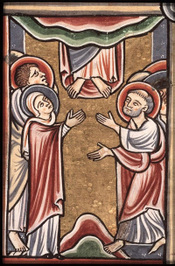 Ascendit Deus! Your end of the blogosphere has certainly been quiet these last few months. Pray that all is well with you.